We are extremely proud to present the first song from our upcoming album “Lifehunger”, scheduled for release on September 28th, 2018. Listen to the track at the link below! Get your Lifehunger merch here. First chapter of the new Vreid-history will be released Wednesday July 18th through Season of Mist. More info later on….. 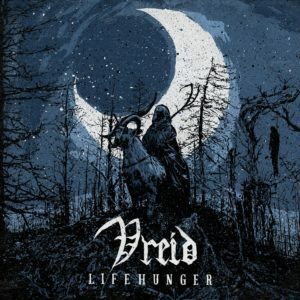 Season of Mist are proud to announce the signing of VREID (OFFICIAL). The Norwegian black’n’roll veterans will release their highly anticipated next album through Season of Mist. 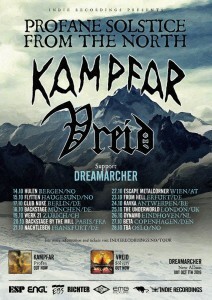 KAMPFAR has joined forces with VREID and will do European Tour, supported by post-metal newcomers Dreamarcher, this October! As the sun sets over what is probably one of the last summer nights in Norway this year, we are excited to announce that we will play the 70000 Tons of Metal Cruise in Caribbean in 2017. On February 2nd the ship set sail from Miami for 5 crazy days at sea. See you there. 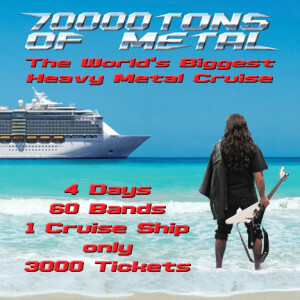 For more info, please visit 70000 Tons of Metal. In October we will march across Europe again. This time with our good friends in Kampfar. Support will be Dreamarcher. For more info check out Indie recordings. We are extremely satisfied to announce our return to Japan. We had a great tour and reception there with Rotting Christ in 2014, and feel privliged to return to this fantastic country. In March we will do 2 shows in Osaka & Tokyo as special guest for Kalmah. Vreid will also play at Norways main rock & metal festival Tons of Rock 23rd of June. This years lineup is absolutely crazy featuring Black Sabbath, Alice Cooper, Megadeth, Ghost, Behemoth and many more. For more info check out our Facebook page. 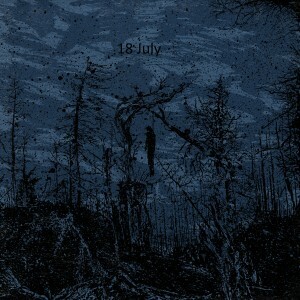 Dark Souls United “Best album of 2015 so far. For it is a masterpiece. Today the new video for the upcoming album Sólverv was released. The video is for the titletrack…be sure to check it out!